In post–World War II America, when John D. MacArthur earned his millions, he was the least known of the nation's wealthiest men. Even after he earned his great wealth in insurance and real estate, MacArthur lived in relative simplicity with Catherine at a Florida hotel he owned, and he often boasted that he did not know his own financial worth. When he died in 1978, he left over $1 billion in assets to the John D. and Catherine T. MacArthur Foundation. John MacArthur rose from humble means to become one of the richest men in America. Born on March 6, 1897, in Pennsylvania, he was the son of an itinerant Baptist preacher and missionary. The family never had much and moved frequently because of the father's work. By the time John was 16, he had left school and moved to Chicago where he worked with an older brother in the insurance industry. This career move paid off. At just 19, John sold more than $1 million in insurance in one year. In 1928, MacArthur purchased his first insurance company, Marquette Life, at 140 South Dearborn Street, in the same Marquette Building where the Foundation is now headquartered. A decade later, he bought Bankers Life and Casualty Company, which quickly became the centerpiece of his emerging business empire. The company succeeded because of his simple, but revolutionary, idea: door-to-door salesmen were replaced with mass marketing techniques to keep down cost and make coverage affordable for the "everyday man." By 1956, Bankers Life was the largest health and life insurance company in the United States. John met Chicago-native Catherine Hyland at his brother's insurance company where she worked as a secretary. Catherine, one of five children, was raised on the South Side by Irish immigrant parents. John was the public face of their business ventures, while Catherine often worked behind the scenes, tracking details and accounts. He always acknowledged Catherine's role in his business success. "She helped build it up," he said of her when drawing up the paperwork to create the Foundation. After building their fortune together and making a home in Chicago, the couple moved to Florida in 1958. There, the MacArthurs began to accumulate their vast real estate holdings. By the time John died, he had purchased more than 100,000 acres of Florida land. He also bought the Colonnades Hotel on the south end of Singer Island; located on a breathtaking stretch of beach, it became the couple's home. A table in the Colonnades coffee shop served as his office. Indeed, he was often mistaken for the hotel handyman. Media called him "the accessible billionaire." Despite a frugal lifestyle, the MacArthurs quietly donated to worthy causes, including the North Palm Beach YMCA and Palm Beach Atlantic University. They made the ballroom at the Colonnades available free of charge for charitable causes. John's longtime friend and attorney William Kirby convinced him that a foundation would allow his money to go to good use long after he was gone. 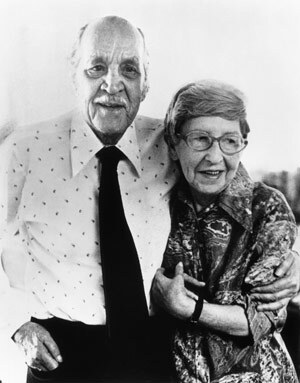 On October 18, 1970, the documents for the John D. and Catherine T. MacArthur Foundation were completed. 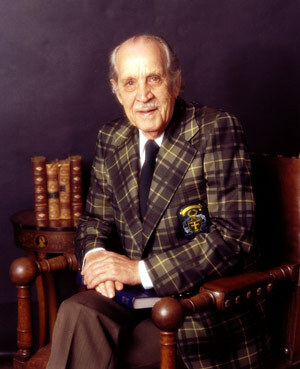 John intentionally left the business of what to fund to the Foundation's first board of directors, which included Catherine; Kirby; his son, Roderick; radio commentator Paul Harvey, a friend from Chicago whose popular program carried ads for Bankers Life; and Louis Feil, a business associate from New York. "I made the money; you guys will have to figure out what to do with it," MacArthur told the board. This direction presented the Foundation's first board with two challenges: how to divest responsibly the assets and how to shape a forward-looking organization that could change with society's evolving challenges. When John died of cancer on January 6, 1978, the Foundation assumed his assets, estimated at $1 billion. In less than a year, the board began to award grants. Early grant recipients included Amnesty International and the John D. MacArthur Beach State Park. In the 40 years since John's death, the Foundation he and Catherine created has awarded more than $6.8 billion to nearly 10,000 organizations and individuals in 116 countries and all 50 U.S. states, as well as Puerto Rico and the U.S. Virgin Islands.